INDIA TODAY: The Akshaya Patra Foundation, which has recently received the Nikkei Asia Prize on May 29, will soon be providing mid-day meals to around 35,000 children of the Ranga Reddy district near Hyderabad, Telangana. 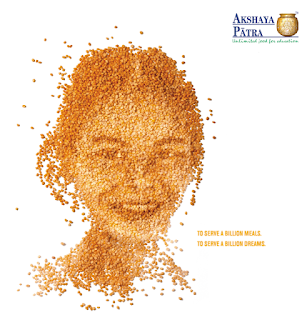 The Akshaya Patra Foundation is a not-for-profit organisation headquartered in Bengaluru, India. The Akshaya Patra Foundation, which recently received the Nikkei Asia Prize on May 29, will soon be providing mid-day meals to around 35,000 children of the Ranga Reddy district near Hyderabad, Telangana. The Bengaluru-based foundation was awarded this prize for its contributions towards development in Asia under the economic and business innovation category. According to TOI, the Bank of Tokyo-Mitsubishi UFJ, Ltd. (BTMU), an entity of the Mitsubishi UFJ Financial Group (MUFG) agreed to pledge Rs 105.1 million, to fund the construction of a new kitchen. Satya Gaura Chandra Dasa, President, Akshaya Patra, Telangana said, ''We are pleased to partner with MUFG in constructing this kitchen in Telangana. Such partnerships enable us to continue our work through our initiative to end classroom hunger". The foundation aims at making sure that over 1.5 million children across schools in the country are provided with mid-day meals and is focusing on feeding five million children by the year 2020. It is expected that the kitchen will be able to cater meals to all the children of the district and is set to be completed by the next academic year (2017-2018). The kitchen will take on the responsibility of providing meals to all government-aided schools, Anganwadis across the district. Not just this, BTMU has also decided to help in delivering and distributing the meals to the schools. The Akshaya Patra Foundation is a not-for-profit organisation headquartered in Bengaluru, India. The organisation strives to fight issues like hunger and malnutrition in India. By implementing the Mid-Day Meal Scheme in the government schools and government-aided schools, Akshaya Patra aims not only to fight hunger but also to bring children to school.